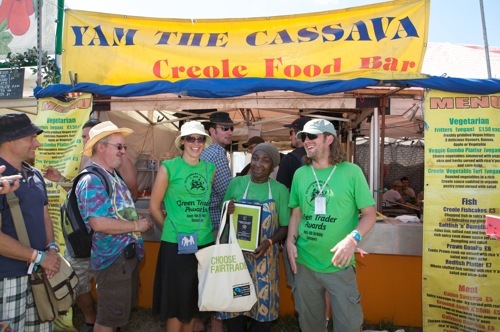 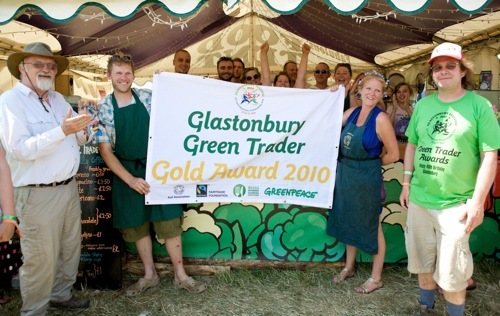 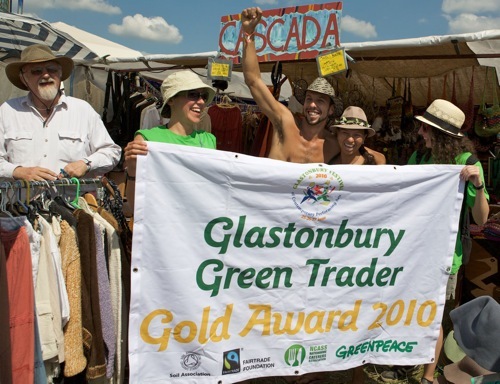 This was the fifth year of the Festival’s Green Traders Awards, given by Greenpeace, the Soil Association, the Fairtrade Foundation and the Nationwide Caterers Association (NCASS), to Festival traders who have done the most to give their businesses a low environmental impact. 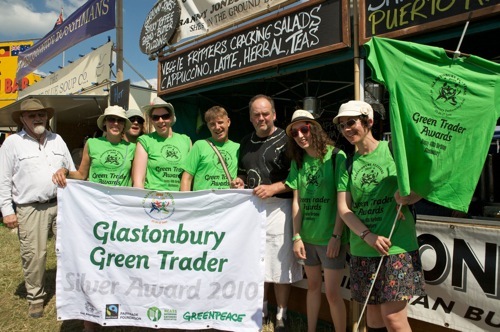 A team of Greenpeace volunteers trekked across the festival site interviewing over 400 traders, quizzing them about everything from how they arrived on site, what their stall was made of, how much of their stock was Fairtrade, organic or recycled and any other ethical criteria they proactively used to reduce their impact on the environment. 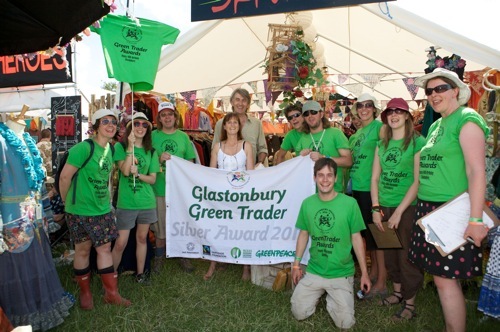 Silver Award for non-food went to Skrunch, who up-cycle old clothes into beautiful new ones. 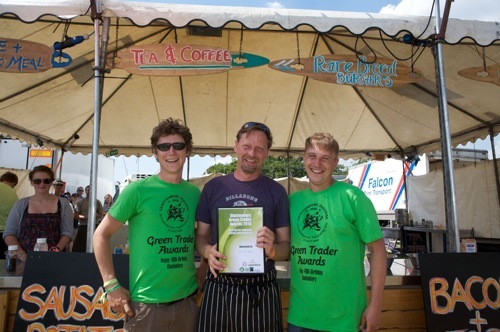 The Thali Café picked up the Organic Award for their scrumptious organic festival meals.